Campaign for the American Reader: Pg. 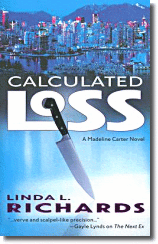 69: "Calculated Loss"
Calculated Loss is Linda L. Richards' third book to feature recovering stockbroker Madeline Carter, seen first in Mad Money (2004) and then in The Next Ex (2005). 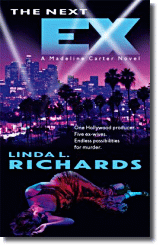 When I read Mad Money, the series debut for day trader sleuth Madeline Carter, I knew Richards had something special going, but [The Next Ex] confirms this and then some. The mystery -- who's killing off all the ex-wives of noted media mogul Maxi Livingston -- has lots of punch and plenty of surprises, but the best bits are simply Madeline describing her day (and making day trading fascinating and lively) and interacting with a wealth of strong supporting characters. If there's justice, many more people will be finding out how good Richards is, and soon." Frankly, I was slightly astonished to discover just how far off the mark Sutherland--and with him McLuhan--are not when it comes to the whole page 69 thing. As Sutherland suggests, jacket copy isn’t a good starting point: quite often the author doesn’t get to write that stuff. For instance, the jacket material for Calculated Loss tells you about the story, but the book sounds a lot happier and glossier than what’s between the covers. It sounds like it’s going to be a big laugh riot adventure. 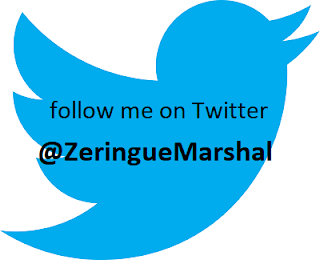 And, certainly, there are moments of high humor--life’s like that, after all--but my fiction tends to be somewhat darker than what is indicated by the words on the back cover. And, sure: the book is a thriller and a mystery. But there is reflection, I think, and growth. There must always be growth. So in the case of Calculated Loss, the McLuhan test works. Because we’re coming across the protagonist, Madeline Carter, in a moment of reflection. And, again, the book is a thriller, so by page 69, we’ve already had a bunch of exciting stuff occur. People have died, things have crashed. But in this moment--this moment of page 69--we’re encountering Madeline obliquely thinking about some of the things that make up her character. And though page 69 doesn’t tell you much about the story, it’s probably a more accurate taste of the journey the reader is considering taking. This is a thing I do, have always done: this testing of the air when I get off a plane. I love that moment, when you first ingest the local air, when you taste it, roll it around on your tongue like a fine wine. It’s only at that moment--when you’ve just left an air-conditioned airport after getting off an air-conditioned plane--that you can truly taste the essential being of a place. 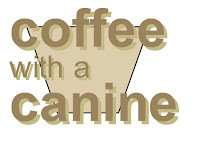 Taste it right down to its constituent components. On this day I tasted earth and things growing richly, and I tasted salt and the sharp tang of the sea. Many thanks to Linda for the input. 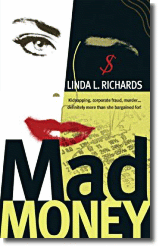 Click here for an excerpt from Mad Money and here for an excerpt from The Next Ex. Go to the publisher's page to read an excerpt from Calculated Loss. Visit Linda's official website to learn more about all three books. Earlier this month Eliane Flinn gave Linda "the bubble treatment" over at Murderati: click here to experience that special event. Linda is editor of January Magazine, maintains a blog, and is one of the "usual suspects" posting at The Rap Sheet. 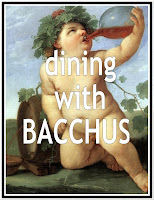 Julian Barnes re-imagines "Madame Bovary"
What is Nigella Lawson reading? "In the Line of Fire: A Memoir"
Pg. 69: "Cast of Shadows"
Can men write romantic novels? "Amarillo Slim in a World Full of Fat People"
What is Paul DiMeo reading? Pg. 69: "The Mercy of Thin Air"
Céline's "Journey to the End of the Night"
"The Life and Times of the Thunderbolt Kid"
Pg. 69: "Who Are You People?" What is Todd English reading? Pg. 69: "Special Topics in Calamity Physics"
Can men write romantic fiction? Should you read Scott Smith's "The Ruins"? Pg. 69: "How to Read a Novel"
What was Jodi Picoult reading last spring? How are book reviewers like financial analysts? "Souvenir of the Ancient World"
What does Joe Theismann read? Can a novel help you make sense of 9/11? James Ellroy and "The Black Dahlia"
What is Bob Vila reading? "The Discomfort Zone: A Personal History"
Pg. 69: "Audrey Hepburn's Neck"
What was the inspiration for "Cloud Atlas"?